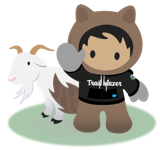 The Users and Licenses section for Salesforce Inbox under the Setup section may not return all License Types and Active Users. Currently, only users with the Inbox license type are returned and recognized. Licenses of type, Sales Cloud Einstein are not returned. A quick action of type UPDATE on a Record type with look up to self and predefined formula values for fields fail load in Lightning. In the Classic User Interface, a dashboard does not appear to complete refreshing when there are Lightning tables present on the dashboard. Chat visitors do not see an error when uploading an image to chat (around 25MB), unless they use Internet Explorer. The error is not appearing in other browsers at this time. In Lightning, typing Japanese characters and URL into Chatter Post and then clicking Share button shows “This link is Invalid” error and cannot share the post. MetricsDataFiles are not regularly generated on multiple instances. MetricsDataFile records for MetricsType='Visualforce' are not regularly generated on multiple instances even ISV metrics usage setup has been done correctly. Lightning Dashboards: Gauge shows "Value" instead of "Percentage"
In dashboard components that were created using the Classic User Interface, gauge components may display the (record count) "Value" instead of the "Percentage" if all breakpoints were not selected. If the Task Subject field contains a quote Lighting Experience throws an Error ID. When utilizing Sidebar Components with 2 or more active Live Agent Chats via Omni-Channel Routing, the lookup records will only retain one of the values instead of different values chosen for the different chats. When a lens is grouped on a date field and changed to a pivot table, the lens may render as a compare table instead. This occurs when there are one or more date groupings and less than 2 non-date groupings.